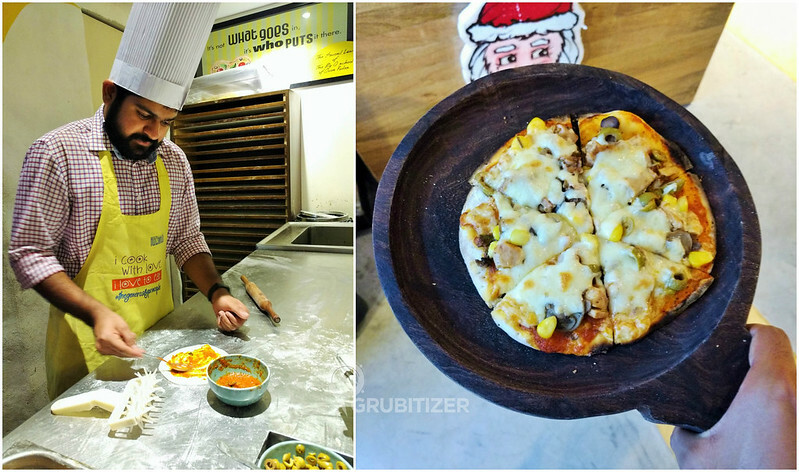 Flechazo means love at first sight, and this is exactly what happens when you come here for a meal as the entire dining journey takes you way beyond the norms of munching food, instead it is a wonderful experience altogether. Flechazo takes pride in serving food that is inspired by two famous culinary regions – Mediterranean and Asian, MedeterrAsian cuisine as they say! 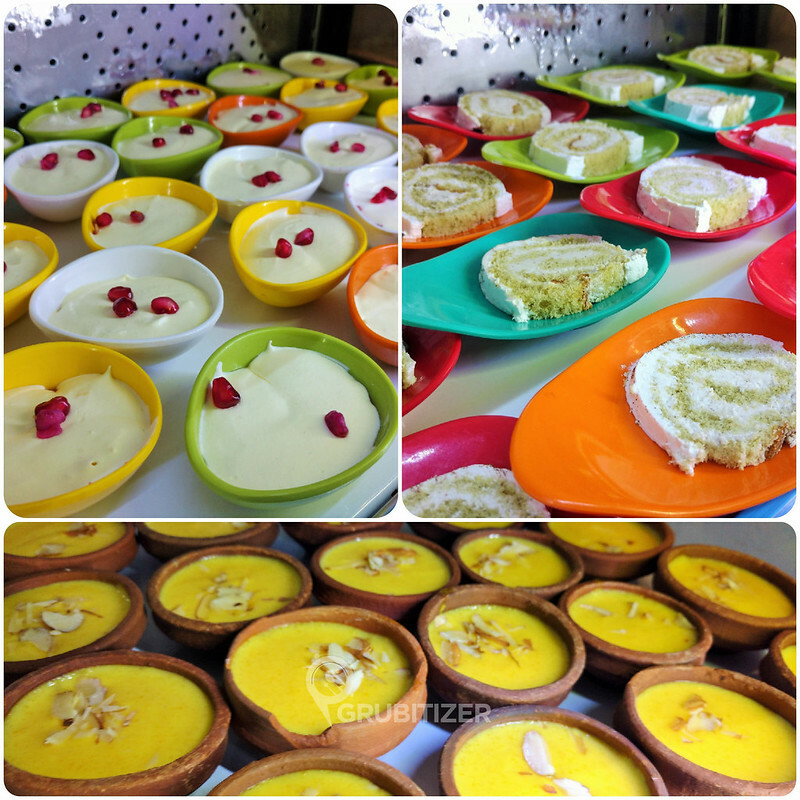 During this festive season Flechazo has incorporated a brilliant spread which is part of their on-going food festival – Santa’s Feast! I was here on an invite to experience the same and trust me, the vibes inside are nothing short of that in a carnival. 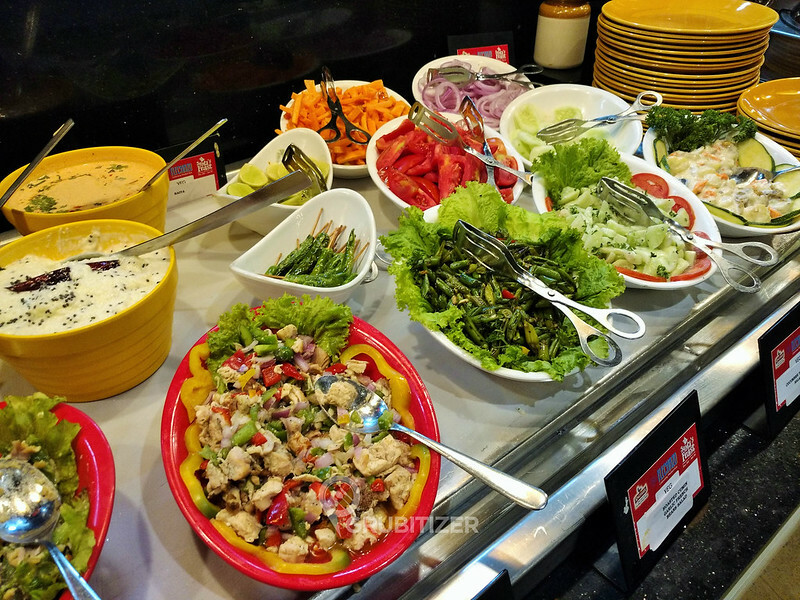 Flechazo is way different from other buffet restaurants, thanks to the three interesting sections – The Food Shot Counter, Big O and Smoking Cold, which does a good job of keeping you involved. The Food Shot counter is a fancy looking section where food shots (tiny bites which can be had in one go) are placed on a moving conveyor belt. Big O is a live pizza counter, but here you are supposed to make your own pizza which is definitely new. The Smoking Cold section lets you choose your flavor of ice cream and the person uses liquid nitrogen to bring it alive. Santa’s Feast food festival as the name suggests has a lot of dishes which are inspired by the Christmas season. 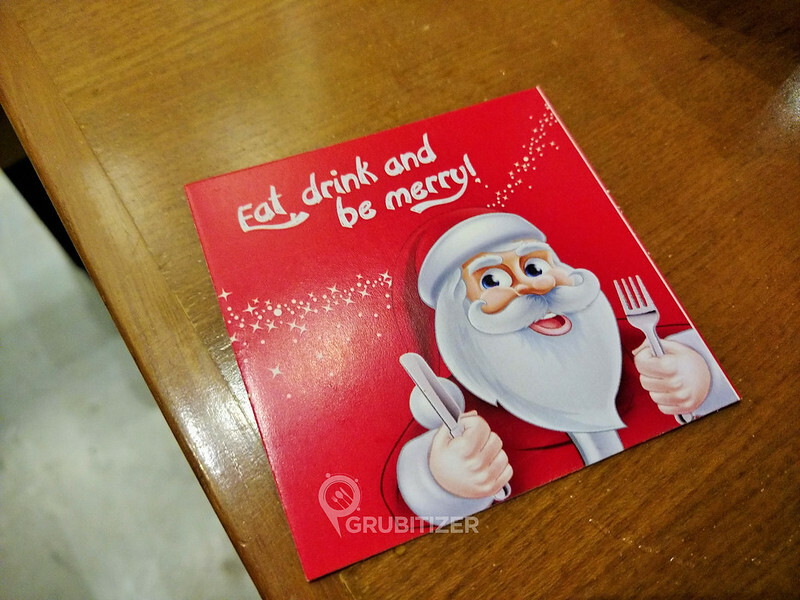 To begin with you can choose the X’mass bite, Little Santa from the Food shots counter among other small bites like Asparagus Carrot Sushi, Broccoli Dimsums, Balsamic and Salami Canape and the traditional Pani Puri shots. 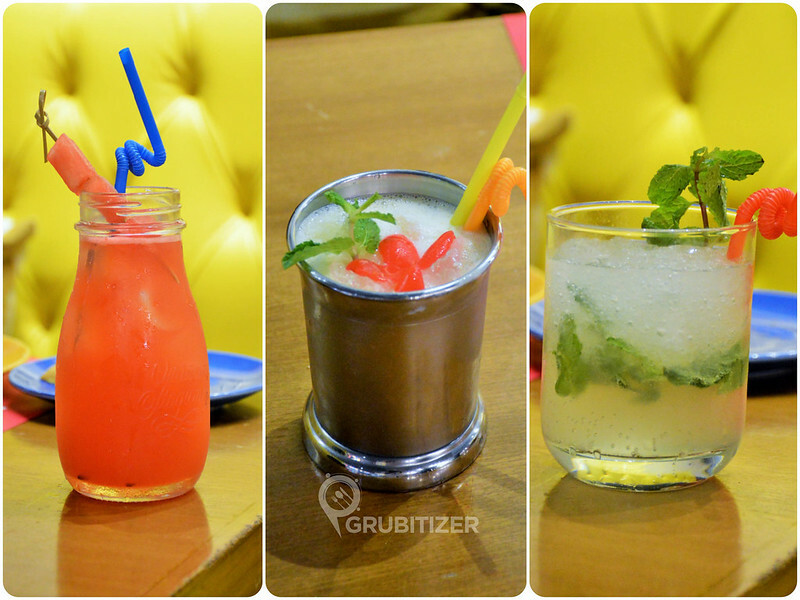 Thirst quenchers were mostly mocktails from their relatively extensive set of items in beverage menu. Let me start with Nitro Batida, a drink which is fueled with liquid Nitrogen to change it into a thick shake/ice cream based drink. Mango Mania is a nice mildly sweet mix of Mango, Vanilla and Coconut, I was expecting slightly stronger notes of Mango. Fig and Berry Smoothie is a complicated drink to gulp down, it is thick in texture and has lot of elements to identify which kind of confused my taste buds. Elder Flower and Melon Collins was my favorite, It is a refreshing mix of ginger, watermelon, muskmelon and lime. Starters are served on your table and we ended up trying small portions of everything (in my case more of non-veg!! ), I loved the Sambal Chilly Chicken which was more of Indo Chinese in appearance, Gosht Hyderabadi Kebab was nicely spiced and the texture of meat here was bang on. Dahi Kebab was loved by everyone and we ended up ordering three portions of the same. A Christmas Dinner is never complete without having Turkey and Flechazo offers just that! 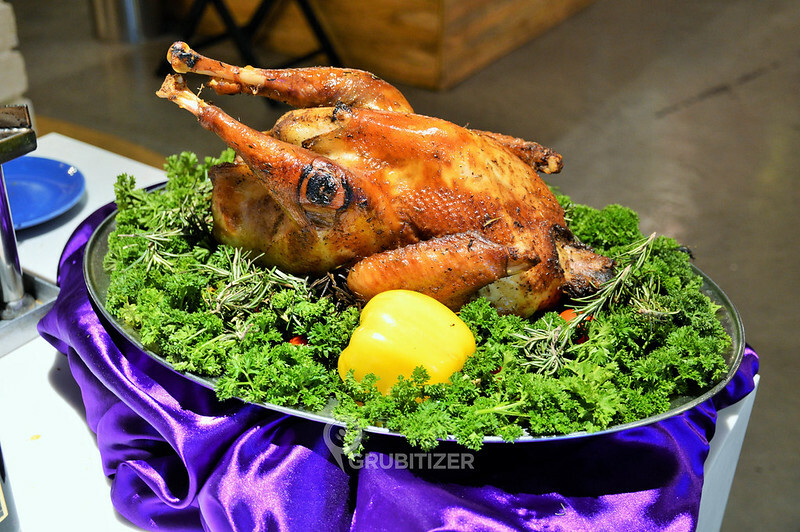 There is a live counter where you can order Turkey based on your choice of sauce – cranberry or Giblet sauce. 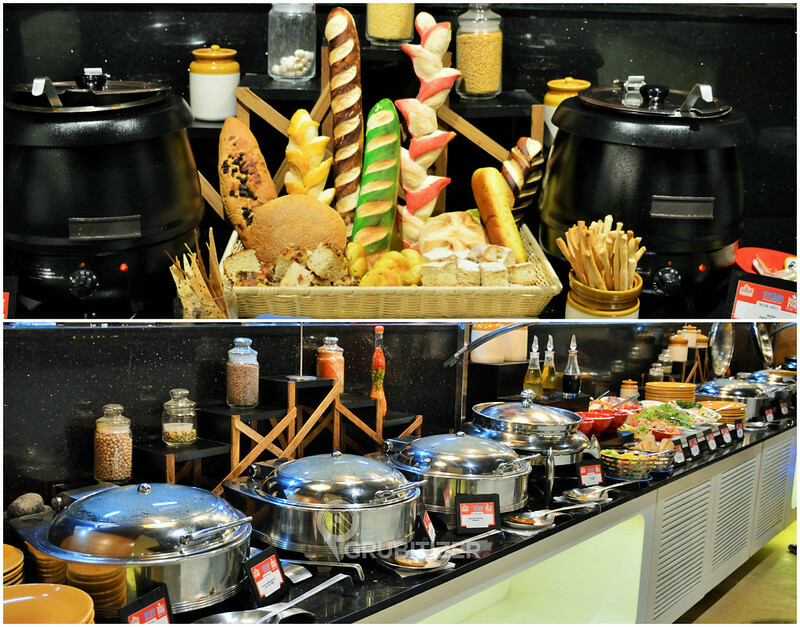 Main course buffet spread is mostly Oriental and Indian cuisine which has dishes like the famous Singaporean Fish Head Red curry, Murg Masala, Paneer Khurchan Masala and so on. Santa Feast special here was the Roast Peking Duck in Red Thai Curry. Don’t forget to miss the Christmas special Yule Log which is also known as the Christmas block, the bark like texture makes it look very realistic. Santa’s Plum Cake and Green Apple Cinnamon Pie are other delights which enhances the overall purpose of this great food festival. 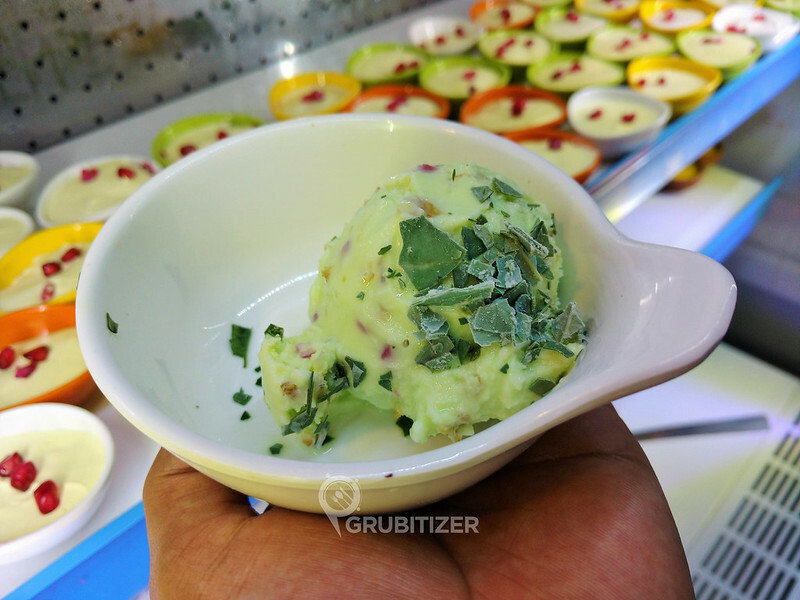 We ended our meal with Paan Ice Cream with Gulkand, another must have when you are here. So overall, Flechazo has a very interesting food spread to celebrate Christmas and New Year season! The festival is running from 21st Dec to 1st Jan, so make sure you book your tables to avoid last minute disappointment. 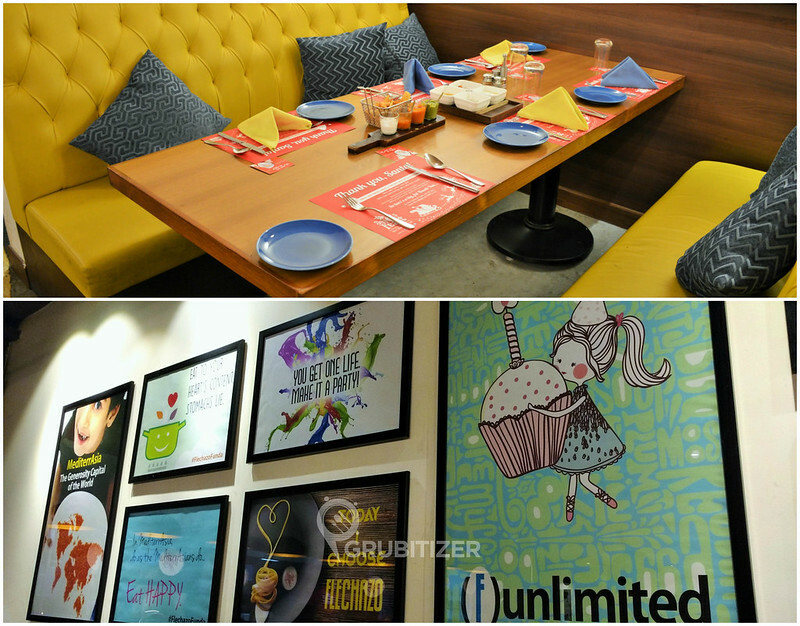 The entire festival buffet is attractively priced at INR 500 ++ (Veg) and INR 600++ (Non Veg). 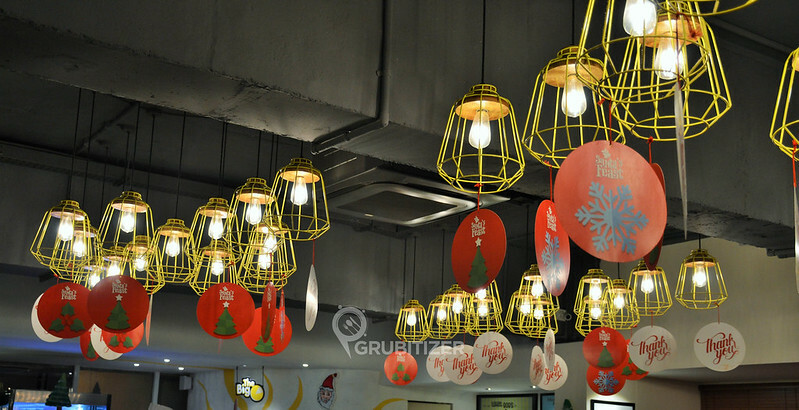 Merry Christmas to all from Grubitizer! For more details click here to visit Flechazo’s website or click on the Zomato widget below.